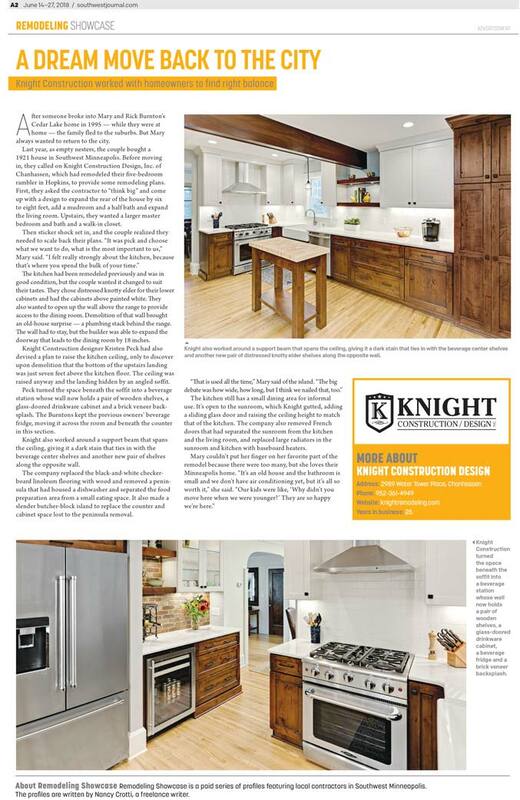 Feature Story — Southwest Journal | Knight Construction Design Inc.
Reprinted with permission from Southwest Journal © Copyright 2018 All Rights Reserved. This is another beautiful remodel by Knight Construction. These homeowners are obviously delighted by the results and really appreciate quality construction by a company they trusted and really listened to their needs. No wonder Knight Construction is a leader in Minneapolis!